As usual, there is a war in Borogravia. Polly, a young girl, decides to join the army to look for her brother Paul, who joined up a while ago. So, Polly becomes Oliver and leaves her home. 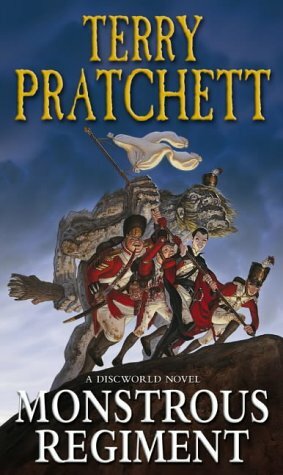 Under the lead of Sergeant Jackrum, Oliver and the other new recruits learn the ropes of warfare and discover the truth behind an increasingly desperate war. I did not like Monstrous Regiment. There were two major problems I had with it: the tone didn’t feel right and the whole approach to the gender thing was one-dimensional at best. 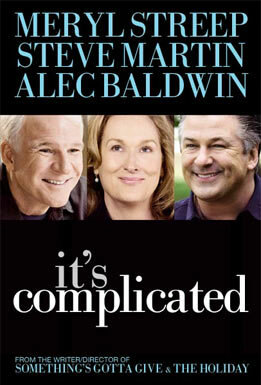 It’s Complicated is the newest movie by Nancy Meyers, starring Meryl Streep, Alec Baldwin, Steve Martin and John Krasinski. Jane (Meryl Streep) and Jake (Alec Baldwin) have been divorced for a while, but remained on quite good terms. During the graduation of their youngest son, their romance gets rekindled. At the same time, Jane meets the charming architect Adam (Steve Martin). And that’s when things get really complicated. It’s Complicated is a nice, rather run-of-the-mill RomCom. What makes it different from other such movies is the presence of an actual adult (a total rarity in RomComs) and the performances by Meryl Streep and John Krasinski. The only question remains: Since this video and song is from the 80s, who would be the Anti-Elvis today? The Hangover is directed by Todd Phillips and stars Bradley Cooper, Ed Helms, Zach Galifianakis, Justin Bartha and Heather Graham. 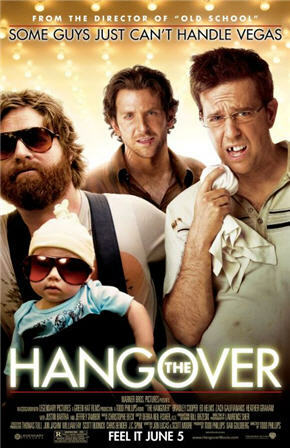 Doug (Justin Bartha) is about to get married, so he goes to Las Vegas with his two best friends (Bradley Cooper and Ed Helms) and his future brother-in-law (Zach Galifianakis) for a final party before the shackles of marriage. The next morning, they wake up, Doug is gone, they are all in a very bad state and nobody remembers a thing. Hilarity is supposed to ensue. I saw the trailer for this film and initially refused to see it. It looked like a sexist pile of crap aka dudebro movie. But after the movie won the Golden Globe I thought I might have misjudged it. So I watched it. Unfortunately, my first instince was completely right. The True Story behind Robert Louis Stevenson’s Kidnapped. Authors state their 10 Rules for Writers, Part One and Part Two. 7 Things Back to the Future Guessed Correctly. Steven Spielberg. Dinosaurs. Time Travel. Awesome, I hope. Trailer for Tilda Swinton’s newest film, I Am Love. Former Twilight Director Tries To Reignite Supernatural Sexual Tension With Werewolves. Full list of Bafta Winners (TAKE THAT, AVATAR!). If you don’t like a catch-22, you shouldn’t go around being female. BBC covers “Women at War”. Science Proves 3-D Movies Hurt Your Brain (including a list of upcoming 3-D movies). 18 Upcoming TV Shows That Could Save Small-Screen SciFi. This sounds interesting: Morrison And McGuigan Team For Twin Peaks-Style Fantasy. 2.) Close your eyes. If you’re feeling really committed, blindfold yourself. 3.) Select ten books at random. Use more than one bookcase, if you have them, or piles by the bed, or… basically, wherever you keep books. 4.) Use these books to tell us about yourself – where and when you got them, who got them for you, what the book says about you, etc. etc….. 5.) Have fun! Be imaginative. Doesn’t matter if you’ve read them or not – be creative. It might not seem easy to start off with, and the links might be a little tenuous, but I think this is a fun way to do this sort of meme. Vienna is Austrian author Eva Menasse‘s first novel. Vienna tells the story of a Viennese (half-) Jewish family from the beginning of the 20th century to today. It does so through various anecdotes. The book focusses mostly on the father and the grandfather of the family, chronicling their way through the second world war and how they build their life up again afterwards. I liked Vienna. It’s well written, with a great sense of humour and it’s so perfectly Viennese, it was a joy to read. 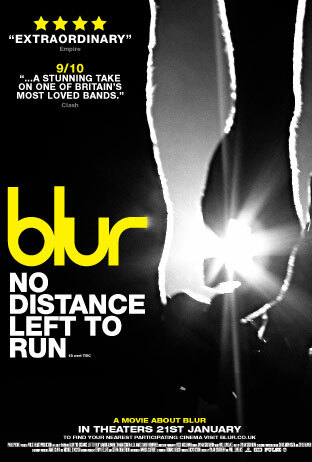 No Distance Left to Run is a documentary by Dylan Southern about Blur. The movie chronicles the career of Blur, from their beginnings in the 90s to the grand reunion in 2009. In this context, I have to admit I use the term “documentary” rather lightly. Actually, it’s pretty much a promotional film and little else. Still, it’s a nice way to spend 100 minutes. 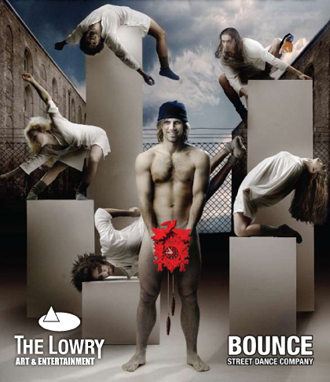 Bounce is a Swedish Street Dance Company whose production Insane in the Brain is a take on Ken Kesey‘s One Flew Over the Cuckoo’s Nest (which I’ve reviewed here). The daily routine of the patients in a mental institution is disrupted when a new patient gets there – Randle McMurphy. He leads the patients into rebellion but ultimately pays a high price for it. Insane in the Brain is pretty damn amazing and didn’t get nearly the attention in Austria it deserves. Even though there were some squabbles I had with it, altogether it is well worth to see. 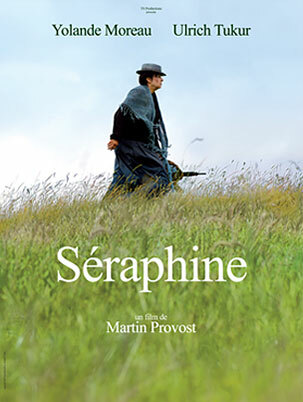 Séraphine is a movie by Martin Provost, starring Yolande Moreau and Ulrich Tukur. Séraphine is a biopic about naive painter Séraphine Louis. Séraphine (Yolande Moreau) lives in a small town in France where she works a lot of cleaning jobs to be able to afford painting materials. All her free time is spent with painting, which is inspired mostly by nature and religious imagery. One day German gallery owner and art collector Wilhelm Uhde (Ulrich Tukur) moves to her village. By chance he stumbles upon her work and is immediately entranced. What follows is Séraphine’s long way to recognition. The movie had some lengths but mostly it was absolutely excellent. And I’m not just saying this because I have a total crush on Ulrich Tukur. [But for the sake of honesty, I should mention it.] Cast, script and cinematography are made of win.